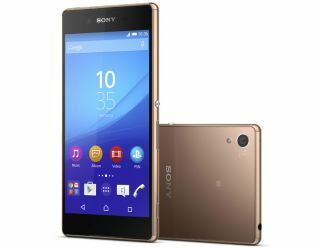 Sony launches slimmer, lighter, faster Xperia Z3+ smartphone | What Hi-Fi? Following the launch of the Z4 in Japan, Sony has now launched the Z3+ in Europe. The Z3+ is the exact same phone as the Japanese Z4 with Sony claiming the Japanese consumer market “craves” the latest flagship devices. Whereas in Europe, it should be seen as an evolution, rather than a revolution of the Xperia Z3. The Z3+ is slimmer than the Z3, coming in at 6.9mm and lighter at 144g. It retains the 5.2in 1080p display of its Z3 predecessor, meaning Sony is one of the few major smartphone manufacturers yet to adopt a 2K resolution screen in their flagship device. Sony’s argument is that the difference in detail is marginal compared to the battery saving of the lower pixel count. Other features include a capless USB port, a feature borrowed from the Z4 Tablet. The new phone will still be water-resistant and rust-proof. A 20.7-megapixel camera can once again be found on the back, but with an improved 25mm wide angle Sony G lens. Sony also says its Superior Auto Mode is now able to recognise 52 different scenarios, and will adjust the camera settings accordingly. The front-facing camera also gets the Superior Auto treatment, in an effort to improve selfies, while a new Gourmet mode will also debut on the Z3+, claiming to make food shots look “better than ever”. The Z3+ benefits from a processor upgrade too, to the latest Qualcomm Snapdragon 810 with 64-bit processing. This, in theory, will increase what is already an impressive battery life. Sony also says a new quick charge accessory will give owners a day’s worth of battery from just 45 minutes of charging time. As before, the Z3+ will continue to support high-resolution audio, and now gets Sony’s LDAC technology for improved wireless streaming. There's also AHC (Automatic Headset Compensation), which claims to provide a better headphone sound. The Sony Xperia Z3+ is available in black, white, aqua green and copper.